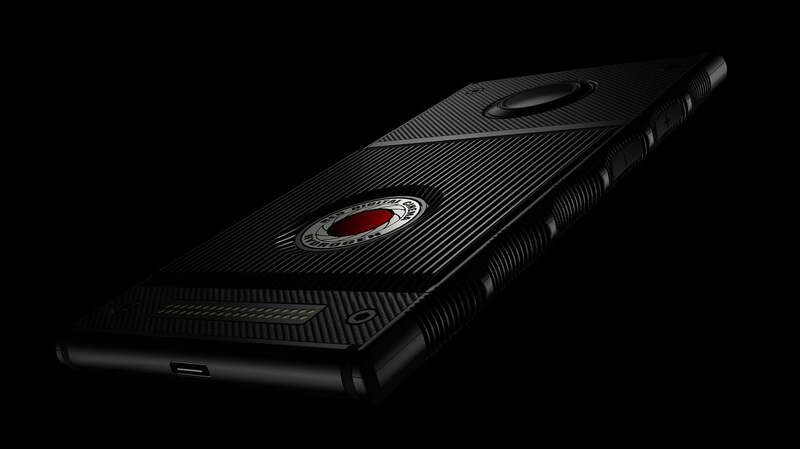 Cinema camera company RED’s first smartphone has been promising big features since last summer, but despite pre-orders already being underway, few official details have been available on the smartphone outside of the holographic display. More details are starting to emerge. We’ve spent some time with the phone, checking out its unique 3D display and spatial audio, and you can read more in our Hydrogen One hands-on preview. We also know the phone will be available this summer from AT&T and Verizon. RED and Lucid are also working together to design a camera that shoots 4V content in real time, using the smartphone as a viewfinder. That camera will be able to share 4V to Facebook and YouTube, suggesting the networks will soon offer 4V support. While we do now know approximately when we’ll see the phone in person, many details about the device have yet to be announced. Company founder Jim Jannard shared additional specs for the RED Hydrogen One — as he uses the Hydrogen One with the serial number 0001. According to Jannard, the phone has a 2560 x 1440 screen resolution in 2D mode. The four-view matches the same resolution, but those pixels appear on multiple layers rather than a flat screen so while the numbers are the same, the 4V won’t appear exactly the same. He says that in the 4V holographic mode, the screen dims a little and then displays a “better than 3D” view. Jannard says that both the holographic screen and multichannel spatial sound is something that is difficult to describe and something that users will have to see or hear to fully appreciate. The modular system previously alluded to (and supported by patent documents) will have at least a “cinema-grade” camera module and an additional battery, according to Jannard. The modular concept uses pogo pins at the back of the phone to add-on accessories, allowing the add-ons to share power and data through the pin connection. The add-on battery will support the large 4,500mAh battery already built inside. Users won’t need the modular add-on in order to shoot 3D and 4V content for playback on that holographic screen either. Jannard says the smartphone’s built-in camera will support the feature in both the rear and front cameras. The smartphone will also automatically save a 2D file as well. Along with building a Hydrogen One network for sharing the content type, Jannard says the company is working with some “big dogs” social media networks in order to enable sharing the 4V content. When the company announced the development of a 4V camera, it said the content can be shared to Facebook and YouTube. While the smartphone itself will shoot 4V, the company is also working on a prosumer level 4V camera expected out before the end of the year. The unnamed camera is expected to shoot 8K 3D or 4V content at a prosumer level. But, like the smartphone, there aren’t many details yet, including how much the prosumer camera will cost. The Android smartphone will use a Qualcomm Snapdragon 835 processor. The phone was available for pre-order on the Hydrogen website for a short period. The black aluminum model will sell for $ 1,300 with pre-orders starting to ship on October 9. The same version will be on sale in AT&T and Verizon stores starting on November 2. If you are holding out for the Titanium version, you’ll have to wait a little longer. The company announced the titanium model will sell for $ 1,600, but shipping will not begin until 2019. Updated on August 7: Added pricing and shipment date information.